commented on "Greetings. I am a journalist, travel writer and sub-editor with 17 years' experience in newspaper and freelance work. ..."
Greetings. I am a journalist, travel writer and sub-editor with 17 years' experience in newspaper and freelance work. I have worked as a news reporter, feature writer, designer of an award-winning Newspapers in Education programme and sub-editor on local, national, business, education and international desks. For the last three years, I have been editing and writing features and travel stories for The Gisborne Herald Weekender magazine. Forty or so of my travel stories have been published on The New Zealand Herald online travel website where many have been chosen as editor's picks. I have also had travel stories published in the New Zealand Woman's Weekly, Australian Women's Weekly, Travel NZ Magazine, For the Love of Travel, World Investor Magazine, Phuket News (Thailand) and shortly AA Directions, Let's Travel and Backpacker Essentials. My Routeburn Track and Kepler Track stories (see NZ Herald stories) were in the top 10 of the Cathay Pacific Travel Writer of the Year competition for 2012 and 2013. In addition to my newspaper work, I sub-edit magazines, company newsletters and quarterly publications on a private basis and write promotional features and profiles. Prior to that, I worked as a tutor at Tairawhiti Polytechnic teaching English as a second language; social policy on the BSW course; and study, writing and examination skills on a variety of courses. I designed and tutored English language and cultural programmes for AFS and similar groups from Thailand and Japan and also worked in a student support role. Before that - my first job out of university - I was a social worker at the Department of Social Welfare working in foster care, children in care, adoptions, child abuse, emergency placements, counselling, youth offending and preparing court reports. I graduated from the University of Canterbury (1976) with a BA in English and Psychology with honours papers in English literature (Otago University). I topped Otago University English Department winning the Stuart Prize for Women. I have post graduate papers in sub-editing and feature-writing. Married for 33 years, I live in rural surroundings 10 minutes from Gisborne with my husband Chris, a banker. We have two adult daughters who live and work in Auckland and Sydney. 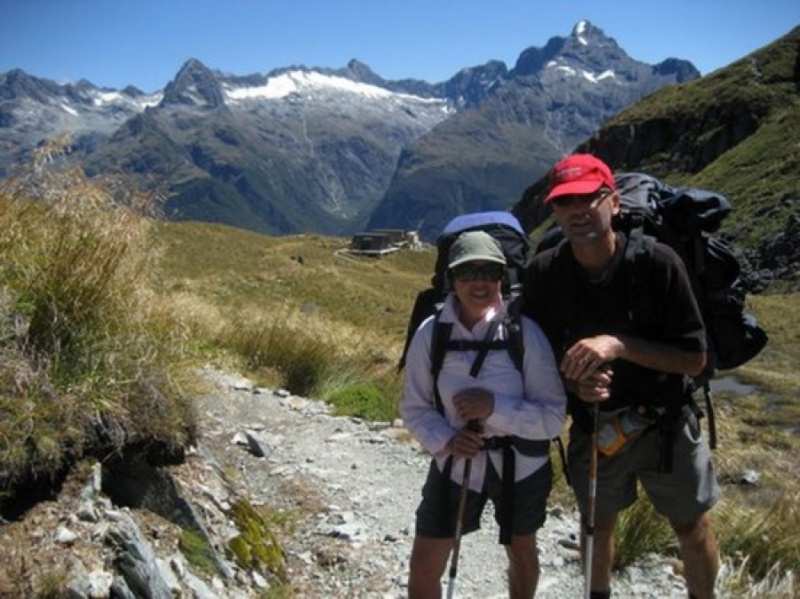 We love tramping, skiing, camping, travelling and spending time with our family and friends. I have been a writer, in some form, all my life and in the last few years have developed an obsession with travel writing. I live to write! I tend to write from a fresh, personal, emotive, quirky perspective and people seem to like my style, judging from the feedback I get. I particularly love writing about tramping and travelling in New Zealand's remote and beautiful places.